London, United Kingdom (7 March, 2017). The Belize High Commission in London is pleased to announce the revitalization of the All Party Parliamentary Group for Belize as signaled by an Annual General Meeting held today, 7 March, 2017 at Portcullis House. Over the past few years, the group had become inactive. High Commissioner Perla Perdomo sought to revitalize the group by bringing together former members for suggestions on who could be invited to participate. MP for Beckenham, Colonel Bob Stewart DSO quickly organized an Annual General Meeting. The event was attended by Members of Parliament as well as Members of the House of Lords. An election was held to name the Chair, Vice-Chairs, Secretary, Treasurer and Officers. Colonel Bob Stewart was elected as Chairman. He is supported by Vice Chairs Wayne David, MP for Caerphilly (Labour) and Stephen Paterson, MP for Stirling (Scottish National Party). Lord David Watts (House of Lords, Labour) will serve as Treasurer, while Lord John David Taylor, Baron Kilclooney (House of Lords, Ulster Unionist Party) will serve as Secretary. All others present will serve as officers. The Rt Hon. 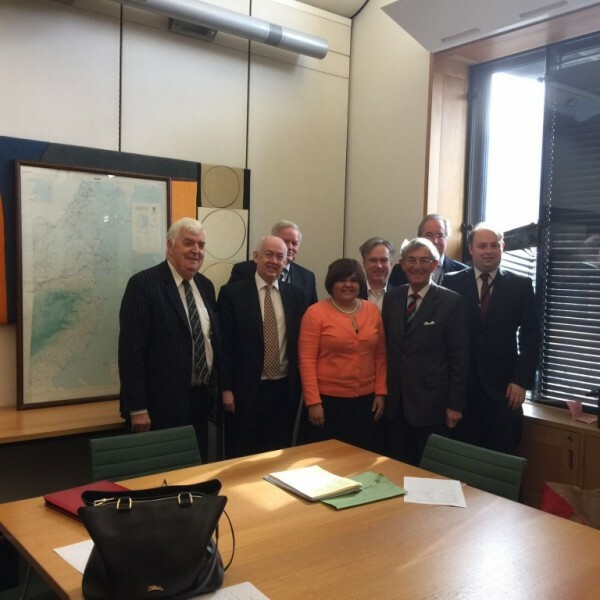 the Lord Foulkes of Cumnock was named honorary president as a sign of gratitude for previously chairing the All Party Parliamentary Group. In her presentation, High Commissioner Perdomo remarked on the strong historical and current ties between Belize and the United Kingdom and spoke about the importance of the APPG at this critical time for both Belize and the United Kingdom. She spoke about Belize’s reliance on trade with the UK, particularly for its sugar and banana exports as well as future trade and investment opportunities. The High Commissioner also briefly spoke about Belize’s inherited border dispute with Guatemala. Chairman Stewart emphasized the purpose of the APPG as an avenue for MPs and Lords to understand more about Belize and to give its support to Belize where necessary.